Did you think a beard is just hair growing on the wrong end of a head? If so, think again. 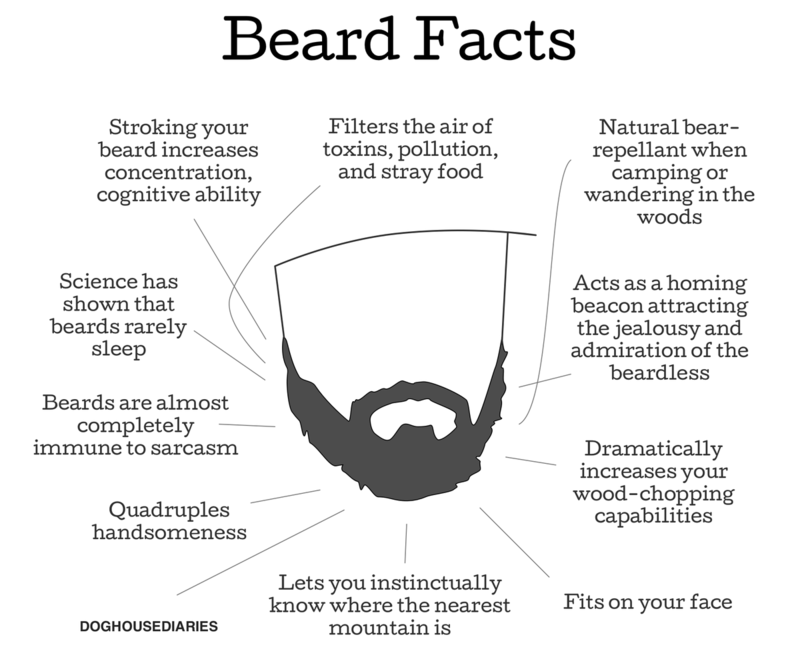 In fact, your beard, gentlemen, is there to help increase your concentration and cognitive ability – it makes you a smarter thinker. It also helps ward off bears when camping or hiking, so it comes in handy any time you find yourself lost in the woods. And it doesn’t just store stray crumbs that fall from your mouth, but also filters some of the toxins and pollution in the air on the way to your nose.